Judith attributes Dr Seuss’ fantastical tales about faraway places to her love of writing children’s picture books. As a teacher and a linguist, she believes young readers can learn about phonetics through visual language in stories. 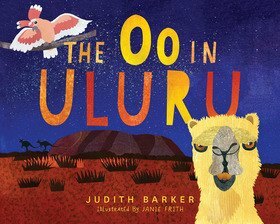 The Oo in Uluru is the first book in a series of fun Australian themed phoneme stories that teach young readers about the vowel sounds and where they can find them in different words. Her career as an English teacher has taken her to Europe, the Middle East, India and China much to her delight - and sometimes wonder. She lives in Mittagong in NSW with her family.